Great news for London, Ontario Sailor Moon fans! 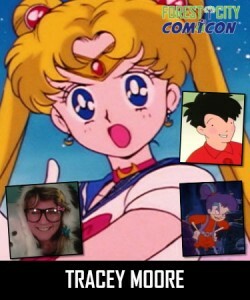 This weekend Tracey Moore, the original voice of Sailor Moon, and Ron Rubin, the voice of Artemis, will be at Forest City Comicon at the London Convention Centre. Tracey Moore voiced Sailor Moon for 13 episodes of the original English dub of the series before being replaced by Terri Hawkes who did most of the first two seasons. Tracey Moore was also voice director for the episodes she starred in as well as two others. Ron Rubin voiced Artemis but never appeared in the same episode as Tracey Moore due to the fact that he only showed up a bit later in the series. Both voice actors will be on a panel “The Voices of Sailor Moon: Ron Rubin & Tracey Moore” at noon on Saturday November 5th. 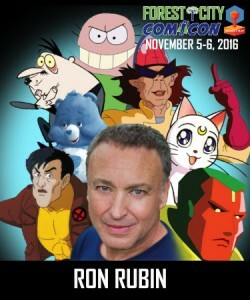 Individually Ron Rubin will have a panel Saturday afternoon at 6pm and then Tracey Moore will have a panel on Sunday November 6th at 1pm.